The company will use the funds to accelerate growth in the software-defined video collaboration market. Kaiser Permanente Ventures is betting big on telemedicine, investing $10 million in Vidyo, a visual communications company that integrates high definition video communications into electronic health record systems and workflow, Vidyo announced Monday. Kaiser Permanente Ventures is the venture capital arm of Kaiser Permanente. Vidyo also received $5 million from existing investors. The company has raised $163 million to date from investors including Kaiser Permanente Ventures, Menlo Ventures, Rho Ventures, Sevin Rosen Funds and QuestMark Partners, it said. 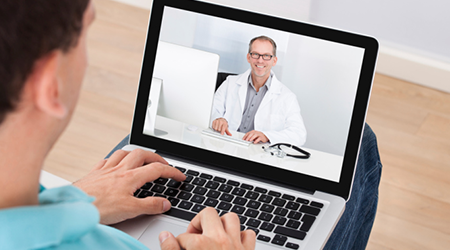 Telemedicine and telehealth are seen as a way to improve the quality of health for patients and populations and by helping to drive down the cost of care. "Kaiser Permanente Ventures is committed to partnering with innovative organizations that support our work to improve the health of patients and the communities we serve," said Jordan Kramer, director Kaiser Permanente Ventures. "We view our partnership with Vidyo, with its telehealth offerings that increase patient convenience and the overall quality of care, as advancing this strategy." The software-based platform is used in electronic medical records systems, ICU monitoring, telemetry management software, bedside patient engagement systems, clinical carts and robots, and direct-to-consumer care providers, according to Forbes. In healthcare, Vidyo is used at Mercy , American Well, Blue Cross/Blue Shield, United Healthcare, Wellpoint, EPIC, Philips and with Kaiser, according to Forbes.